You spend most of your life working, saving, and planning for retirement. The last thing you want is to give a large portion of your savings to the IRS. But that’s what will happen if you go into retirement without making tax planning a major part of your retirement saving. Financial advisers will tell you that earning and saving is only a portion of your retirement planning. The other part is working with a financial planner to make your savings as tax efficient as possible. Work Income: If somebody paid you, you owe taxes. This includes money as a salaried or hourly employee, an independent contractor, or just a side business. This includes income that somebody prepays to you, income paid to a third party for work you did, income you earned outside the United States, bonuses, and awards, and even that special company trip as a reward for blowing out your sales quota—it’s all taxable. See IRS Publication 525 for a complete list. Regular Investments: If you sell investments, any gains are taxable that year and are counted as part of your annual income. This could include brokerage accounts, real estate, bank products, and a host of other assets. IRAs can be Roth or Traditional. A Roth IRA is taxable when you contribute and comes with no tax advantage upfront. A Traditional IRA is taxable when the money is withdrawn and come with a tax deduction when you contribute but you don’t pay taxes on the initial contributions. 401(k): Contributions to a 401(k) come from pre-tax dollars. The money you contribute doesn’t show up as income on your W-2 at the end of the year. But most retirement accounts, with the exception of Roth accounts, are counted as income and that makes them taxable. This is a general synopsis but to really drill down on this, you might need some help from a financial planner. How would you like to pay zero taxes on any capital gains you receive? You can do that by keeping your income below $75,900 if you’re married or $37,950 if you’re single. The 15 percent tax bracket comes with a 0 percent tax rate on capital gains. Even if you usually earn more than the maximums above, most retirees will have years where they earn less or they can carefully plan to take gains from Roth accounts that have no tax consequence. The key is to accurately forecast your taxes and get as close to the maximum as possible without going over. If you find that you will only have taxable income of $60,000, take distributions from your retirement accounts of $15,900 even if you don’t need it and save it for future years. Remember the list we made above? Don’t forget about any less common ways you might be earning income. If you move into the next tax bracket, those tax-free gains are now taxed. Learn more about this strategy here. Each year, take a look at your income and convert as much as you can to a Roth IRA or 401(k) if your company offers the option. You don’t want to push yourself into a higher tax bracket with the conversion but remember that paying taxes while you’re in a lower tax bracket is better than paying taxes later when you have a higher income. Just like that 15 percent tax bracket above, whatever bracket you’re in now, convert as much as you can without moving to the higher bracket. Investment pros know that diversification is key to managing the natural shifts in the performance of various investment accounts. If one investment is underperforming, another is overperforming. The same strategy works for retirement planning. If you have a mix of taxable and non-taxable accounts, you can draw from the non-taxable accounts when your income is relatively high and from taxable accounts when it’s lower. Losses are part of investing. Not everything is a winning investment but losses aren’t completely bad. Just as you owe taxes when you make money on your investments, any losses you claim counteract those gains. If you have some losing investments in your portfolio that you’ve wanted to get rid of anyway, selling them at a loss will reduce your capital gains liability. 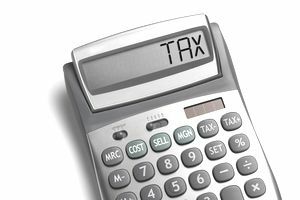 Tax loss harvesting can be a helpful tool for reducing your capital gains liability but it will only work for certain investments. For example, it generally won’t work with any tax-sheltered retirement account but for when trying to reduce taxes in retirement you must look at all of your assets and reduce the liability on each as much as possible. Did you know that your Social Security benefits may be taxable? It depends on your income. If your combined income is less than $25,000 if you’re single or less than $34,000 if you’re married, your benefits aren’t taxable. If you exceed these thresholds, the IRS applies a complicated formula that may make up to 85 percent of your benefits taxable. You have 2 choices if you want to avoid paying taxes on your benefits: stop working or work only enough to stay below the threshold or delay taking benefits as long as you can. Once you reach age 70, it no longer makes sense to delay benefits. To learn if delaying taking Social Security benefits makes sense for you, read here. Although it may not impact most peoples’ retirement strategy, sometimes the IRS offers relief to people who suffered losses from a natural disaster. For example, some victims of the 2017 California wildfires can claim uninsured or unreimbursed disaster-related losses in the year that the loss occurred (2017) or the prior year (2016). This applies to personal and business-related losses and could open up possibilities for some of the strategies above. Monitor the IRS page about disaster-related tax relief. As you save more and your wealth builds, tax planning can become so complicated that you can’t do it alone. You’ll probably need the help of a financial planner, tax attorney, and most likely an estate planner. Although there are plenty of articles to help you understand the basics of tax planning, don’t hesitate to gain the help of a professional long before you reach retirement age.